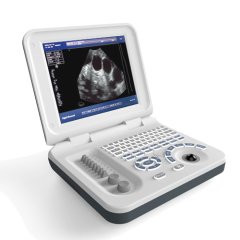 This laptop balck and white full digital ultrasound equipmnet is designed and developed in 2012. 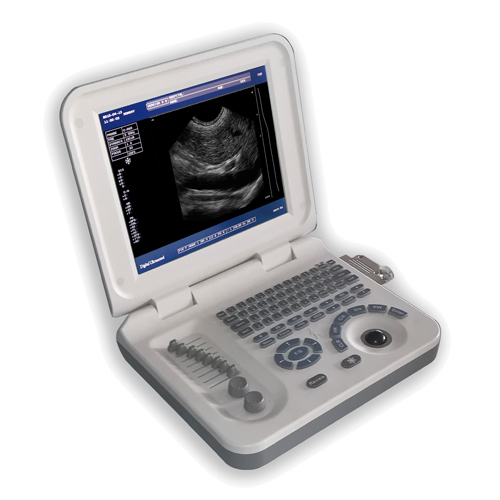 After six years of market testing, it has stable performance, high resolution image, easy to operate, high cost performance and easy to carry.It is suitable for clinic or hospital to be used beside the bed or in the field. 15. Image processing: γ correction, frame correlation, point correlation, line correlation, digital filtering, digital edge enhancement and pseudo color processing, etc. Monitor: 10.4 inch LED display. The battery pack continuous working time: ≥1h. Host weight: about 3.5 kg. Host appearance size: 300 ×245 × 60 (length × width × height) (mm3). 1 T35R60GZ convex array probe.